By buying this product you can collect up to 574 bonuspoints. 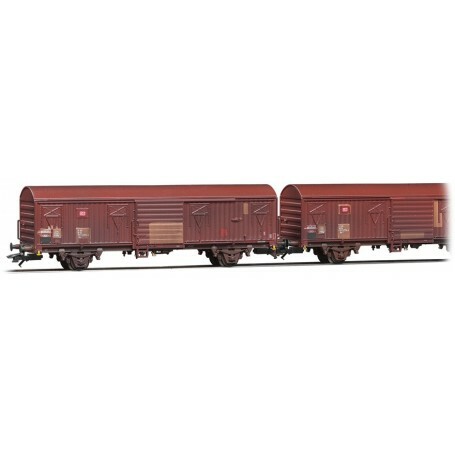 Vagnsset med 2 godsvagnar Gbs 256 typ DB AG, totallängd över buffertar 324 mm, epok V.
Two-piece set covered freight cars type Gbs 256 of the German railway company (DB AG), epoch V.
Weathered models with different road numbers. Seperately packed. DC wheel set 2 x 700580.